Google has officially finalised the software for its biggest Android update yet, Android 5.0 Lollipop, but most Android owners will probably have to wait a little while to get it. It’s up to the carriers and phone manufacturers to decide when the update rolls out to various phone models. No official announcements have been made, but Samsung is rumoured to update its Galaxy S5 to Android 5.0 Lollipop in December. 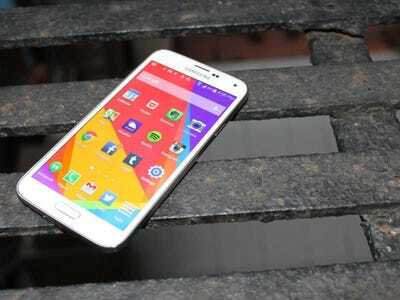 The company has also teased that the software upgrade is coming soon for the Galaxy Note 4. The blog Sam Mobile claims to have gotten its hands on both a Galaxy S5 and Galaxy S4 running the newest version of Android, so here’s a look at what to expect. Here’s how the Calculator app will look on the Galaxy S5 in Android 5.0. That subtle animation is part of Google’s new Material Design user interface for Android. Here’s a look at the dialer on the Galaxy S5. Notice how it is more colourful than the dialer in Android 4.4 KitKat. And here’s what the Messages app, which is also brightly coloured, will look like. Now let’s take a look at the Galaxy S4. Here’s the home screen and notification drawer. It doesn’t look much different from Android KitKat, because Samsung still uses its TouchWiz software overlay. The case is the same with the app drawer. As with the Galaxy S5, we start to see some of Lollipop’s Material Design characteristics in the Dialer.